Finally it is here!! 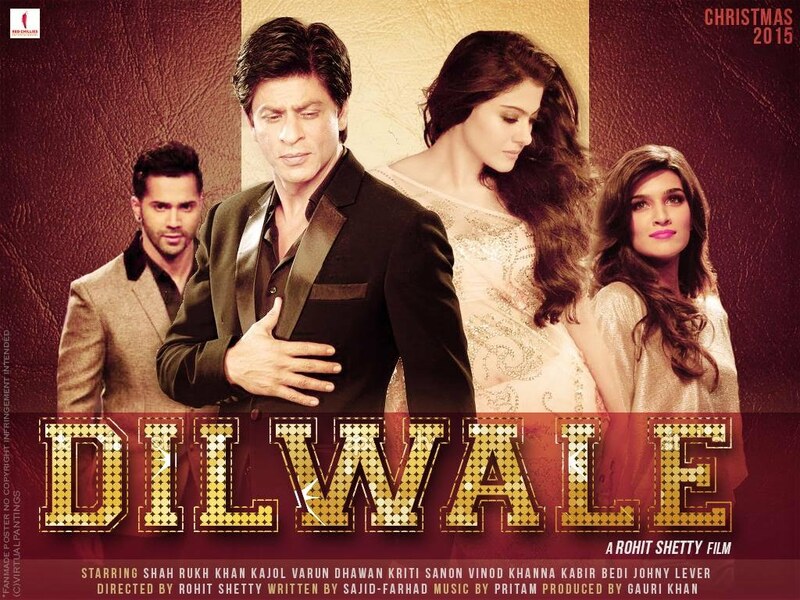 Dilwale, the much awaited romantic action movie, has released its trailer today. Bringing together the most romantic pair of contemporary Bollywood – Shah Rukh Khan and Kajol – the movie also features Varun Dhawan and Kriti Sanon in main roles. Slated for release during Christmas 2015 (18/12/15), this upcoming romcom flick with loads of action and thrill, is directed by Rohit Shetty under the banner of Red Chillies Entertainment and Rohit Shetty productions. Then the trailer was released today. Within 4 hours of its release in YouTube, the trailer has already ticked 73000 views, and is still going strong. Well there are certain themes of the trailer which hits you upfront – the rough character of Shah Rukh, the softness of Kajol, the mysterious love surrounding them, cool Varun and the lovable Kriti. It has been said that Varun is given an entry in the film, not given in his previous films. The shooting spots in the movie are almost surreal – exquisite mountains, lush grasslands, icebergs greet us in the trailer.The song ‘Rang De Tu mohe Gerua’, shot in Iceland, brings back instantly the memories of sizzling chemistry between SRK and Kajol and is sure to be an instant hit among die-hard fans of the pair. Predictably the trailer has loads of car stunts and car – chasing, something that you always expect a trademark Rohit Shetty – film to have, along with an ensemble cast with appropriate screen time given to everyone.. Sources say that this timethe stunts will be a notch higher, something that’s never been done by Rohit Shetty. Revenge… Betrayal.. Romance… Breakup… All in a movie… It’s going to one of the biggest releases of 2016. As its tag line says: “Some love stories never end”… It predictably sets the tone for the movie. The movie some how reminds us of Josh movie where Shahrukh was a gang leader in Goa, and was playing an elder brother the movie had little to offer and was disappointment.